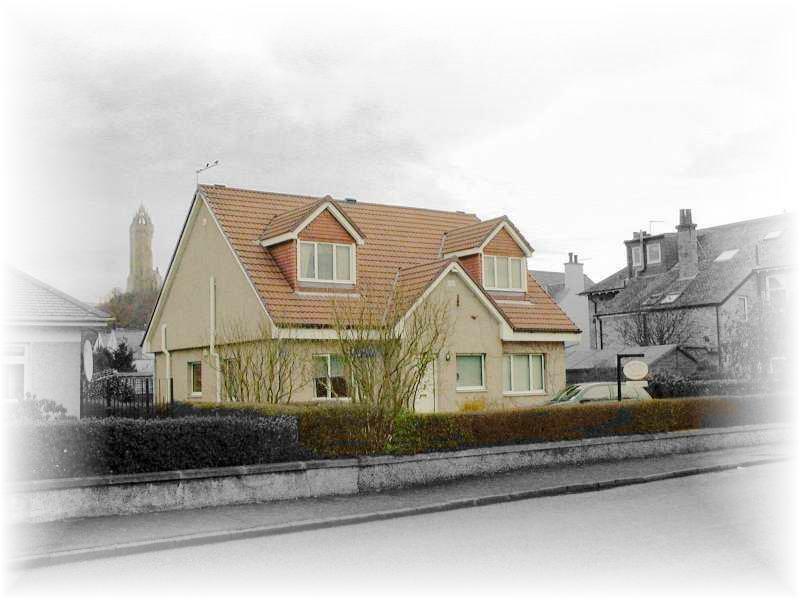 Bed and Breakfasts near Stirling Albion Forthbank Stadium for 1 night from Thu Apr 25, 2019 to Fri Apr 26, 2019 within 25 miles, in an Average Nightly price range of £1 to £200. Featuring panoramic views of the Wallace Monument and Ochil Hills, Highland Gate by Marston's Inns offers accommodation 2 miles from Stirling city centre. Free WiFi and free private parking is available at the property. All rooms at the Highland Gate feature a flat-screen TV, tea/coffee making facilities and a desk. The en-suite facilities contain a bath or shower, free toiletries and a hairdryer. Guests can enjoy continental or cooked breakfast each morning at Highland Gate by Marston's Inns. The restaurant also serves pub-style meals, as well as rotisserie chicken, and has an on-site bar. Children can play at the property's indoor and outdoor playgrounds. Stirling Castle is 1.5 miles from Highland Gate, and the Wallace Monument is 3 miles away. The Blair Drummond Safari Park is 4 miles from the property. The nearest airport is Glasgow Airport, 37 miles from Highland Gate by Marston's Inns. Located within 10 acres of landscaped grounds, the Victorian-style Doubletree by Hilton Dunblane Hydro Hotel offers breathtaking views of the Trossachs. The hotel features a leisure centre and stylish restaurant. LivingWell leisure club features an indoor swimming pool and fully-equipped gym. Guests can relax in the steam room, bubble pool, or sauna, and massage treatments are also available. The Kailyard by Nick Nairn Restaurant serves traditional Scottish cuisine in elegant surroundings. Guests can enjoy fresh coffees and drinks in the 2 lounges, and there is also a cocktail bar. The luxury rooms each have a 32-inch LED TV. All rooms feature a designer bed and WiFi access, and some have wonderful views of the Perthshire countryside. Doubletree by Hilton Dunblane Hydro Hotel is just 15 minutes' walk from Dunblane Railway Station. Free parking is available, and both Glasgow and Edinburgh are within a 40-minute drive. Traditional B&B near Stirling, Edinburgh, Glasgow and Loch Lomond. Great location for touring Scotland. All rooms heated and ensuite with TV and hospitality tray. WiFi throughout House. Perfect for Prudential and BP Grangemouth. Large comfortable lounge. Duchally Country Estate offers stylish, modern luxury accommodation and great leisure facilities in 27 acres of parkland, surrounded by some of the most spectacular and picturesque landscapes of Perthshire. There are 52 luxurious 2/3-bedroom lodges within the grounds. All are furnished, equipped and decorated to the highest standards with panoramic views of the surrounding countryside. The lodges can accommodate up to 6 or 8 guests and most bedrooms have full en suite facilities. The estate's impressive leisure centre boasts a heated indoor swimming pool with adjacent children's pool. There is also a spa bath, a steam room and a sauna, as well as a fully equipped, air-conditioned gym. After your swim or workout, you can relax with a light snack, coffee or soft drink in the comfortable lounge of the rustic-style cafeteria. The restaurant offers award-winning cuisine and is open to all. Tables are subject to availability and reservations are recommended.